As I mentioned in the last post, we have become fans of the wine of Italy’s Piedmont region. However, while we knew the most famous types – Barolo, Barbaresco, and Barbera – we did not know the slightest about the vinoculture. 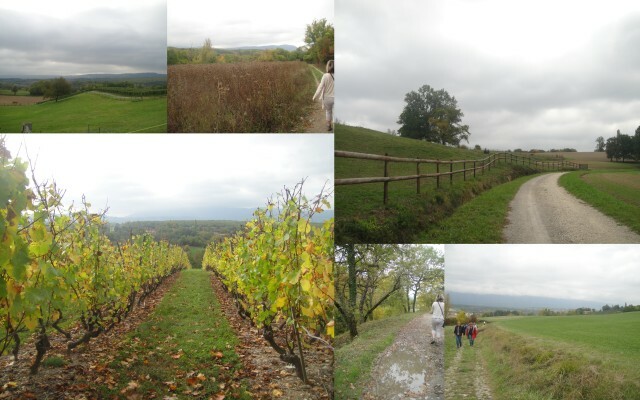 So, to develop our knowledge on Piedmont wine, we had no choice but to travel there and have an official Piedmont wine tour! To start, all three of these are grown in the Langhe region of Italy. This is an area within the Piedmont. 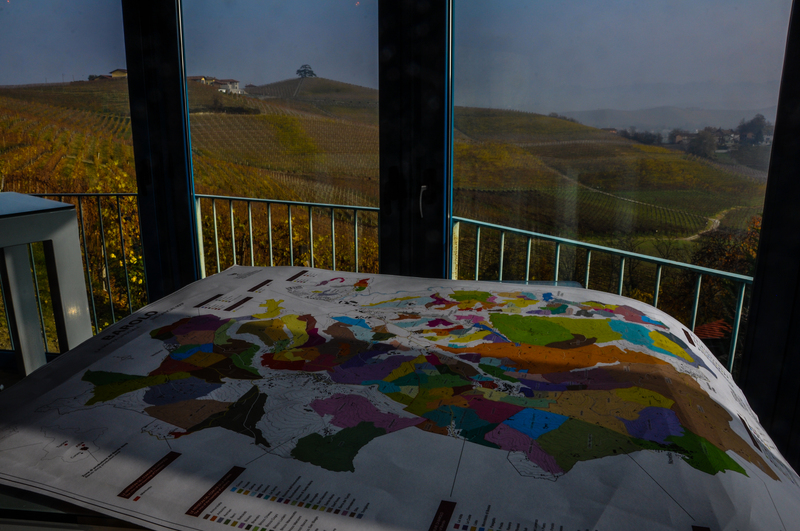 Italian wine isn’t as complicated as French with Grand Cru, Premier Cru, and village level designations. However, they do have a similarity in that certain plots are valued more. 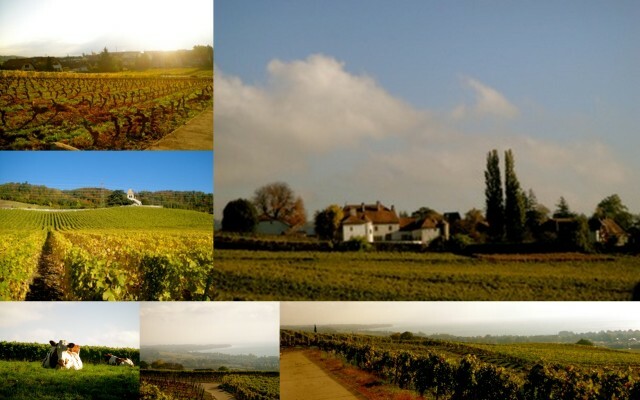 However, these are more ‘small areas’ than particular plots belonging only to one winery. While France uses AOC to designate the its approval of the grape / area, Italy uses the term DOC. 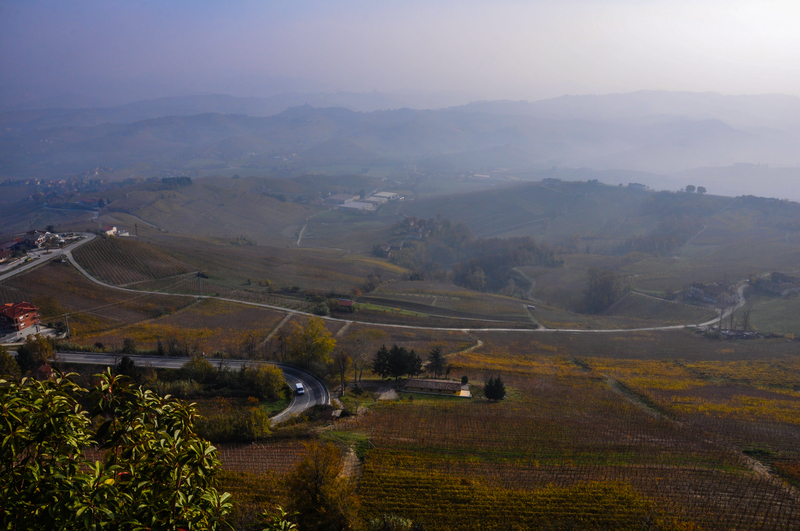 The Langhe region is very hilly. Of the three I mentioned above, in addition to being types of wine made with Nebbiolo grapes, Barolo and Barbaresco are also towns. There is no town of Barbera, but the Barbera grapes grow in the Piedmont and come from different towns…Barbera d’Alba, Barbera d’Asti, etc. Barolo is the king – the best. 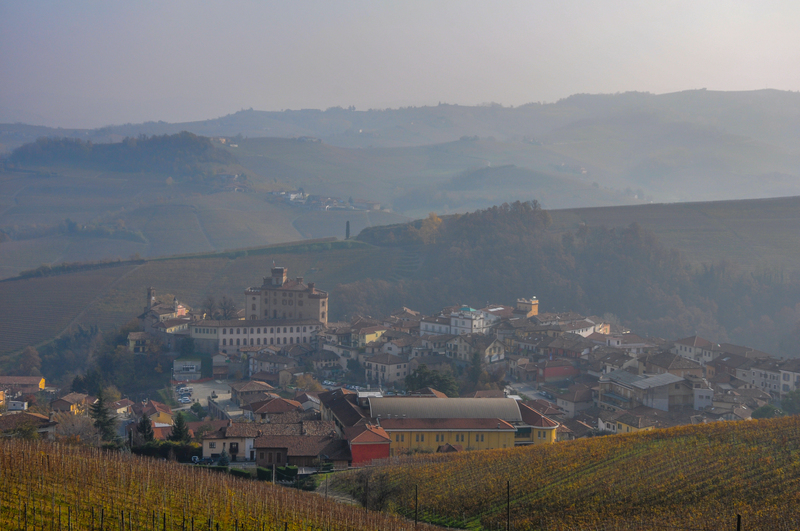 There are eleven towns in the Langhe which can call their wine Barolo. Building on that, there are many crus, or plots of land where these special Nebbiolo grapes come from. At our first stop, Fratelli Revello, we tasted their Barolo 2008, Barolo Vigna Gattera 2007, Barolo Vigna Giachini 2007 and Barola Vigna Concha 2007. The names Gattera, Giachini and Concha are the plots. They pointed out their window to show us where they came from – to the south, to the southeast, and across the street. 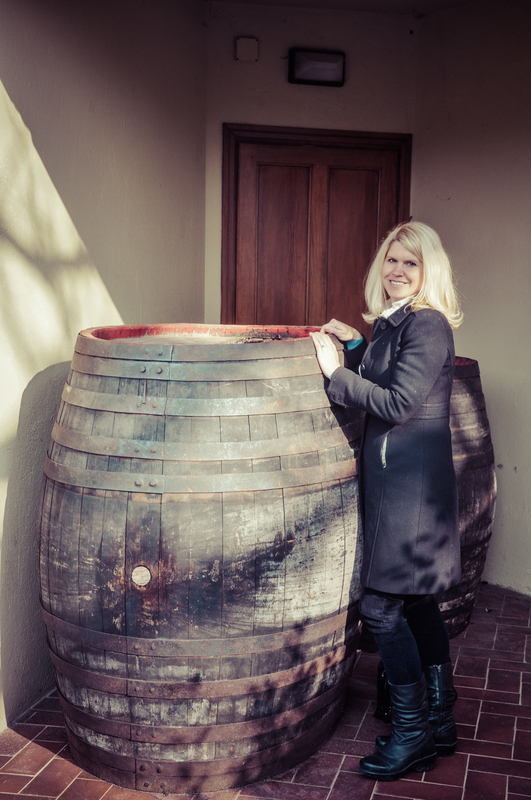 Thus, Barolos are not blended. 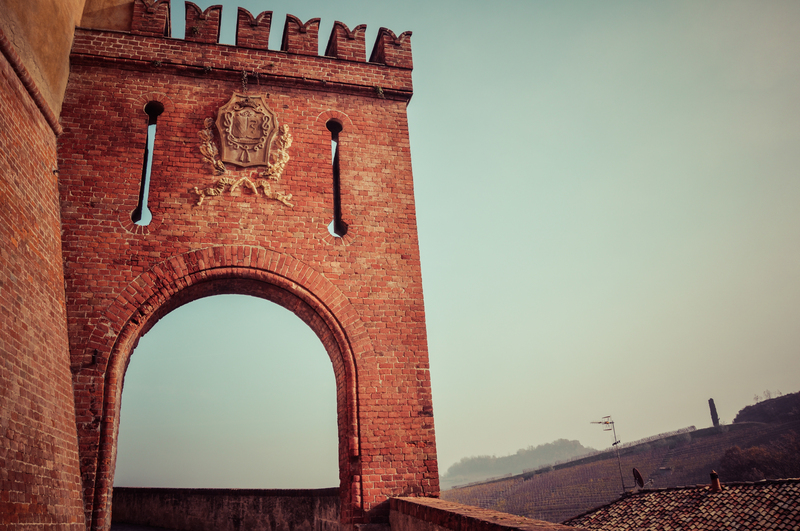 While visiting the Marchesi di Barolo winery, we learned a bit more about Barolo’s history and the influence of the Savoy, who made their capital in nearby Torino. This was very influential in the growth of Barolo. As I mentioned, Barolo is a town. 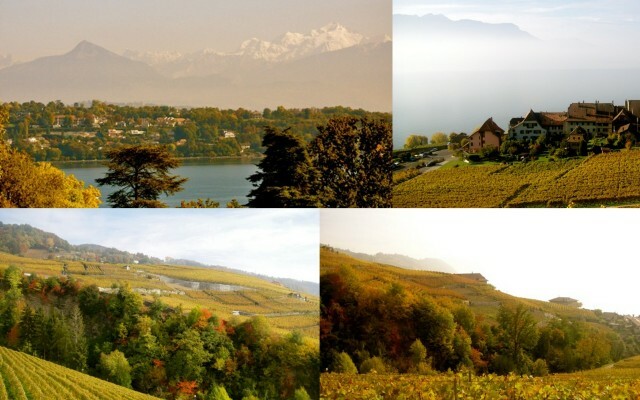 And it is quite lovely….it is located in the middle of the hills, complete with a charming castle. If you don’t have a planned visit, there are countless local wine stores in the town of Barolo with signs that invite strollers to come have a tasting. We abstained due to the heavy amounts we were tasting at our visits, but did buy some local goods – hazelnut creme, pasta, and a handmade wine opener. 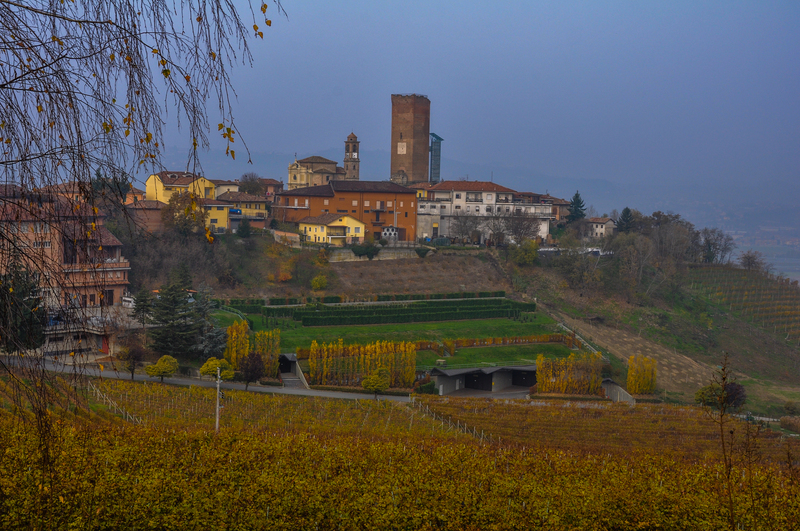 Barbaresco is a town and also a type of Piedmont wine made with the Nebbiolo grape. Exactly like Barolo, Barbaresco has only certain plots within the DOC. There are only five compared to Barolo’s eleven. We visited a charming family winery, Ca’del Baio. 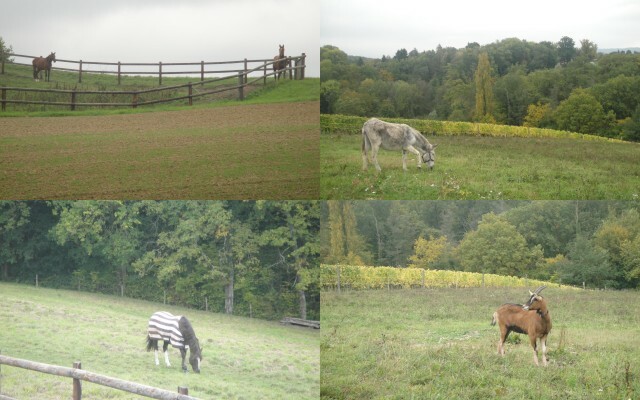 In addition to their flagship Barbaresco, this winery also produced a few other local grape varieties: Dolcetto, Barbera d’Alba, and a Nebbiolo without DOC designation (outside the borders). The hubby, checking out the family’s photo collection. 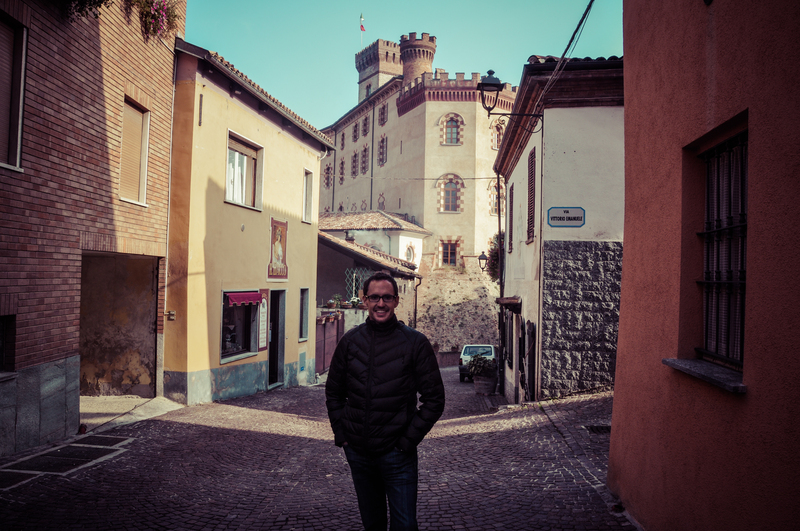 Barbaresco town is beautiful yet still much smaller than Barolo. It is situated on the top of one of Piedmont’s rolling hills. 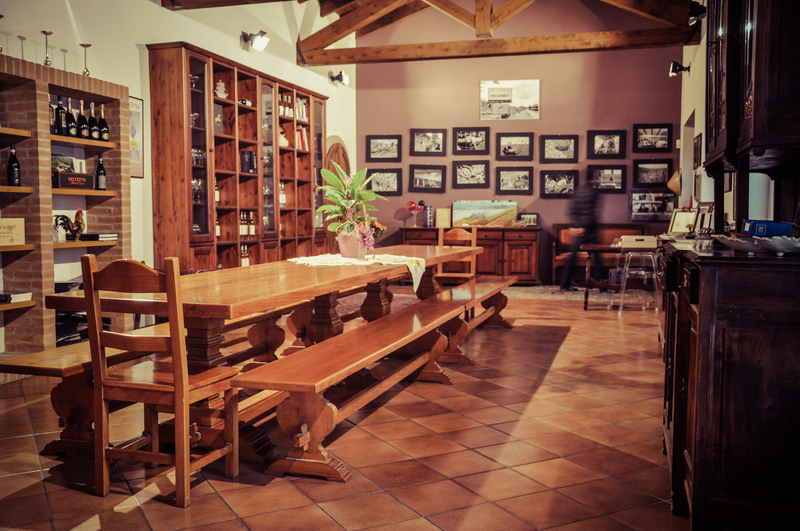 Like Barolo, you can taste in the many tasting rooms of Barbaresco. Our guide told us about one tasting room that is a converted church. We didn’t visit the Sunday morning we were there, but you can see it in the below photo as the central building. 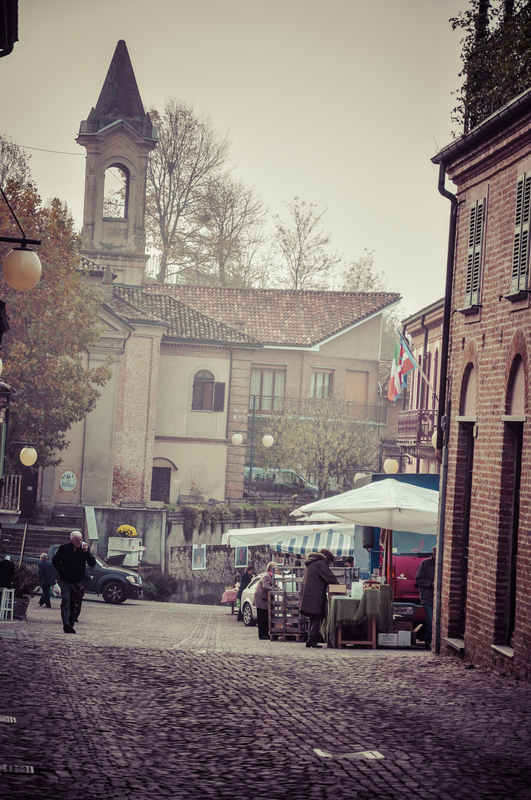 Barbaresco also has a charming Sunday market. Sunday morning market in Barbaresco. We purchased some nocciola creme and olive oil. Finally, an explanation on Barbera. As mentioned above, Barbera is the name of a grape, not a town. So, it came come from different areas, generally designated on the label. Barolos are the most expensive, ranging from 30 – 50 euros a bottle. Barbarescos are a better bargain at 20 – 25 euro bottles. Barberas are 6 – 12 euros. While I like Barolos and Barbarescos, my wallet keeps me a bigger fan of Barbera. 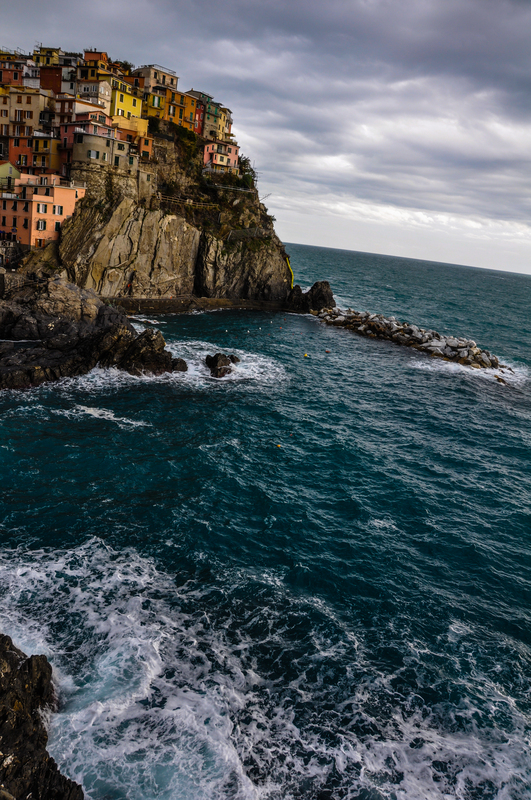 Cinque Terre, Italy is one of my favorite places in the world. I first discovered it with friend R in the summer of 2007 during our girls trip to Italy. 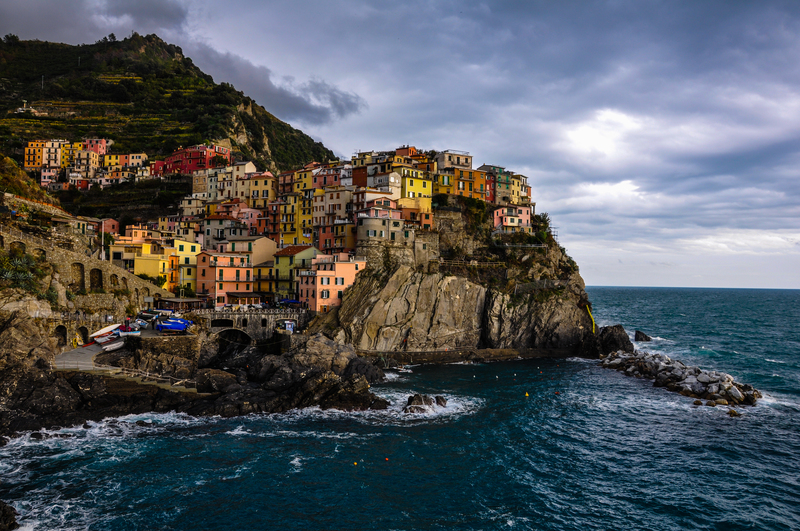 Cinque Terre means 5 Lands in Italian and the area is comprised by five small towns perched on cliffs above the Ligurian Sea. 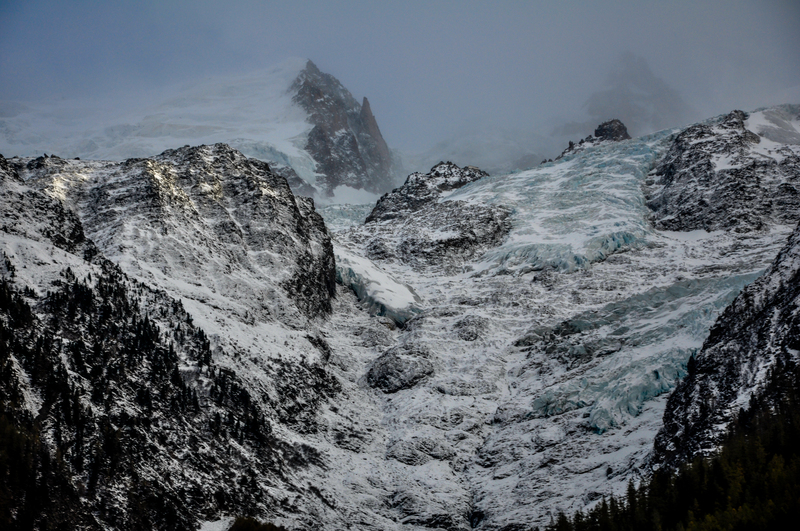 The area is a UNESCO world heritage site because of the early civilizations’ ability to build, live, and thrive on landscape that has the odds of being inhabitable. I wanted to share it with Gabe, so we had selected it for one of our Honeyfund trips for our wedding. We planned to go after my feet had fully recovered, which ended up being this Fall. While we had some stormy skies our entire trip, I found the lack of tourists and cooler weather to be an refreshing change. MONTEROSSO AL MARE, #5 was the town we stayed in. It is the biggest, and I picked it due to our late arrival as it had more hotels that accomodated late check-in as well as actual parking lots for our car. We arrived around 9pm and found that we couldn’t drive through town to the side we were staying in. Note to future travelers: the Old Town and New Town are not connected for the average driver, only with special permit can you open the chain / gates. It is a 20 – 30 minute deviation to drive back up the mountain to come back the other side. So make sure to note that in your driving plans! We checked into Hotel Baia. It was a basic Italian room, but in a suberb location on the water and near the Monterosso train station. Early the next morning, we put on our rain gear and set out to hike the seven mile Trail 2 from our hotel to Riomaggiore. We were greeted with a locked gate. The trails were closed due to the mudslides last October and continuing bad weather. Oops. While I researched the affects of the mudslides on the towns, I had not specifically looked into the trails. Luckily there is a fantastic transportation solution – a regional train connects the five towns with an hourly train. While they aren’t quite always on time, it was a very nice back-up to get to see the area with the trail closings. 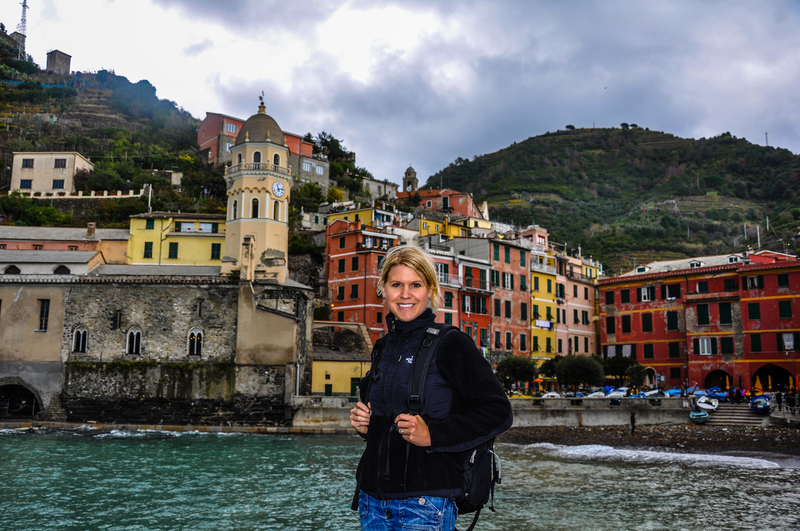 The next stop, VERNAZZA, #4, was my favorite of the five towns during the 2007 trip. It has a natural harbor and I adore the bell tower from the church and how it looks over the coast. We saw a large poster detailing the devastation the mudslides caused in this particular town. It showcased homeowners and shopkeepers standing in the mud which once was their home/shop. The beach was still a little damaged, but otherwise, there were scarce signs of the horrors they experienced last October. They’ve done a remarkable job cleaning up. Still too early for lunch, we climbed to the highest point of the town – the castle. We loved seeing the ominous skies surround the colorful buildings. We enjoyed a lovely lunch at Gambero Rosso, the same restaurant where R and I had enjoyed a meal five years prior. We both ordered the fresh pasta with pesto, a Ligurian specialty with a glass of local white wine. Deliciouso! After lunch, we scurried to catch our train. Due to some technical difficulties which I’ll chalk up to not reading the board properly Italian chaos and mis-direction, we missed the hourly train to the next town of Corniglia. We opted to catch the next train which bypassed the other two towns in order not to lose another full hour. 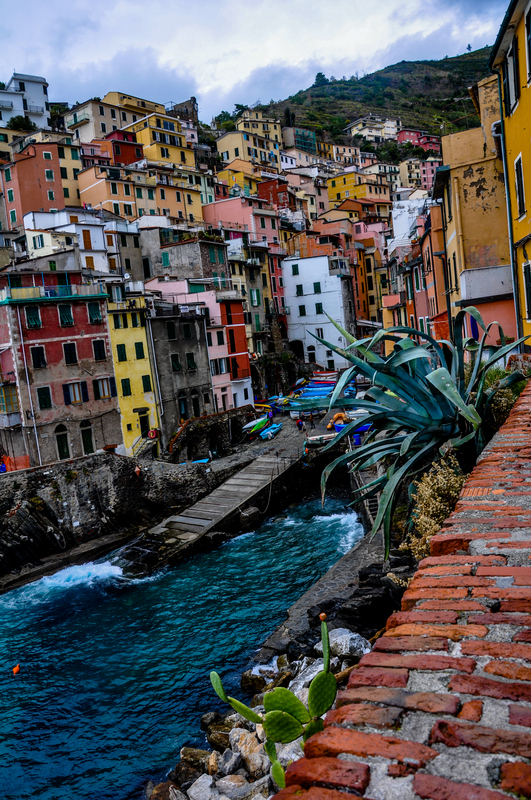 RIOMAGGIORE, #1, is the first town on the trail and supposedly the least touristic. We watch a fisherman for awhile and reflected on the colorful boats and buildings which trailed upwards. We explored the height of the town, certainly the “most vertical” of the five, and sat for a quick glass of vino, another Cinque Terre white varietal. After, we caught the train backwards to town #4. 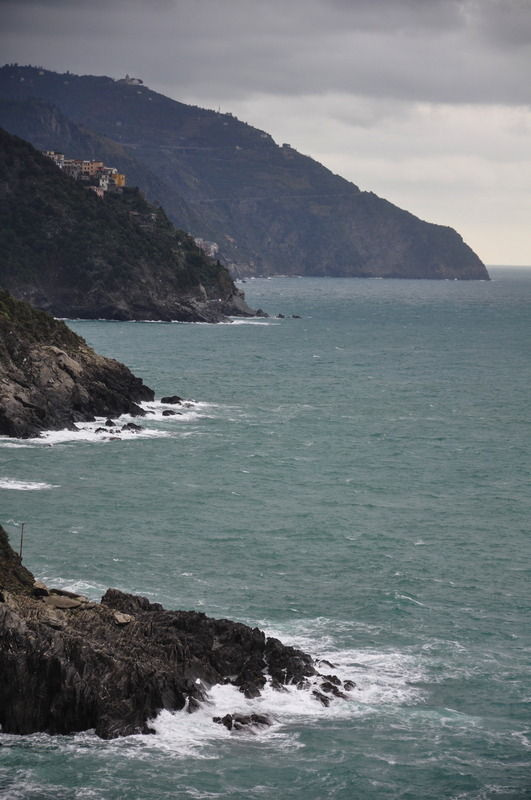 MANAROLA, #4, was Gabe’s favorite of the Cinque Terre. Back when we were single girls on our Italian vacation, R and I had headed straight for Manarola’s beach to catch all the summer action. Now, it was a ghost-town, but it left us more time for exploration. We wound around the vineyards surrounding the village, getting every vantage point. I’d have to say that this trip, Manarola was my favorite. 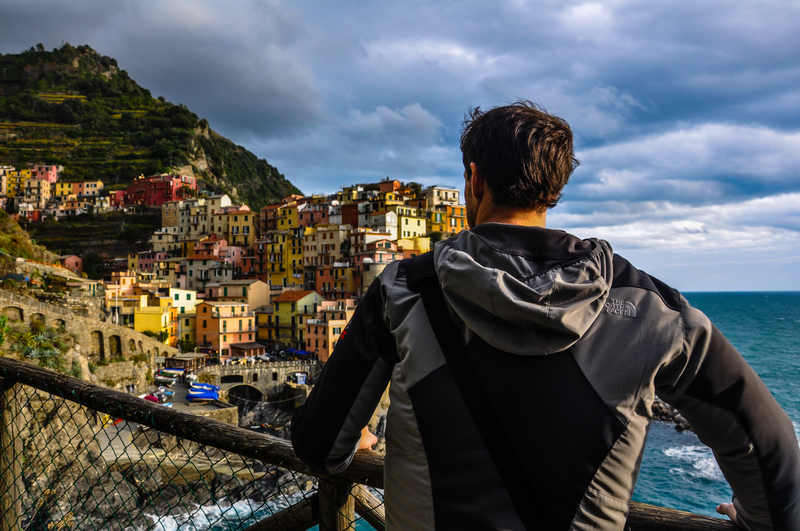 Because we liked it so much, we opted for a longer stay in Manarola versus hitting the fifth town of Corniglia. My husband prefers to enjoy fewer activities for longer…..quality not quantity. And for me, it’s a good lesson for me to remember as I never want to miss anything. Gabe joked it would have to be Quattro Terre for him. We were able to see Corniglia from a distance. View of Corniglia #3, from Monterrosso #5. View of Corniglia #3, from #4 Manarola. We saw the evidence of mudslides taking out the trails between these two on the hills to the right of the photo. Good thing we opted to leave. 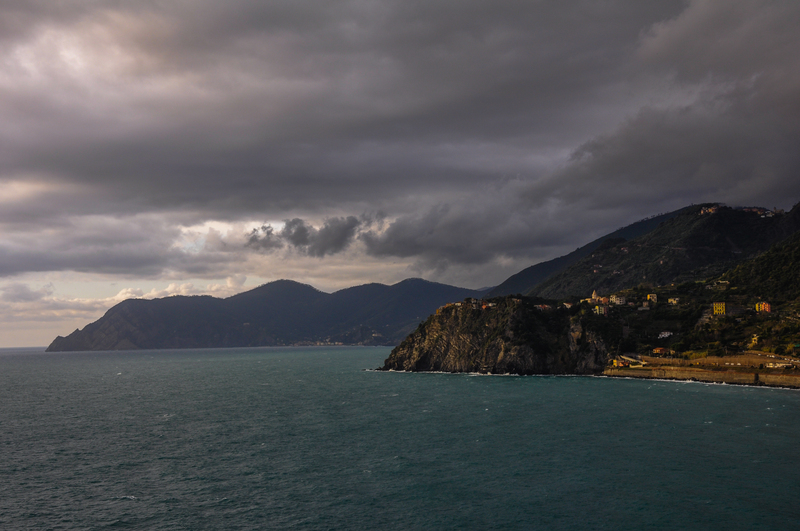 The skies let loose after we got to Manarola’s station. 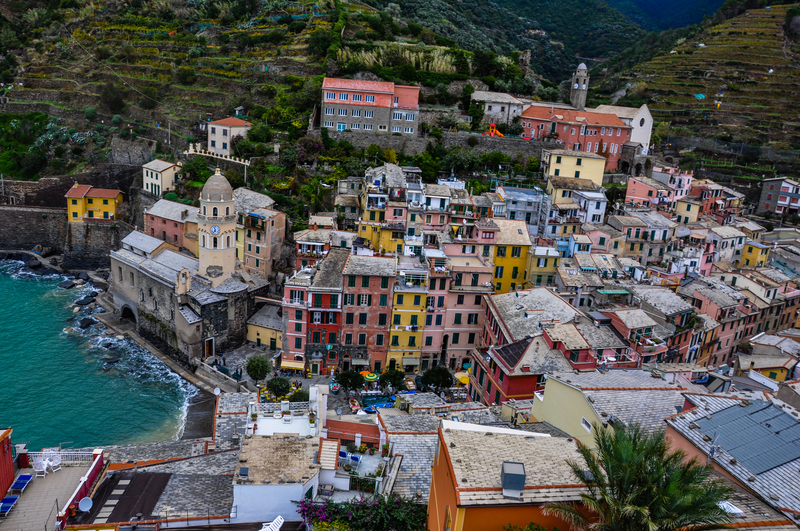 In order to reach Corniglia, there are 400 steps. So, I am thankful we weren’t caught in that exploring the last remaining town. 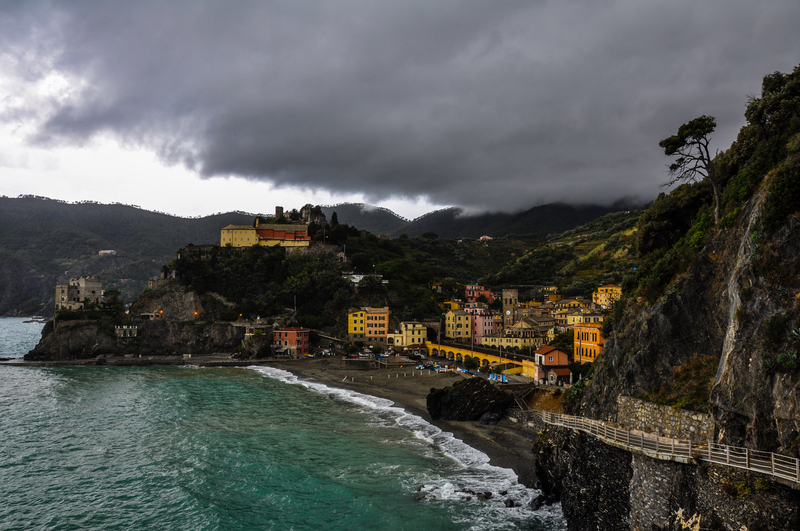 We returned to Monterosso for a wonderful dinner at Ciak and drinks at Enoteca da Eliseo. 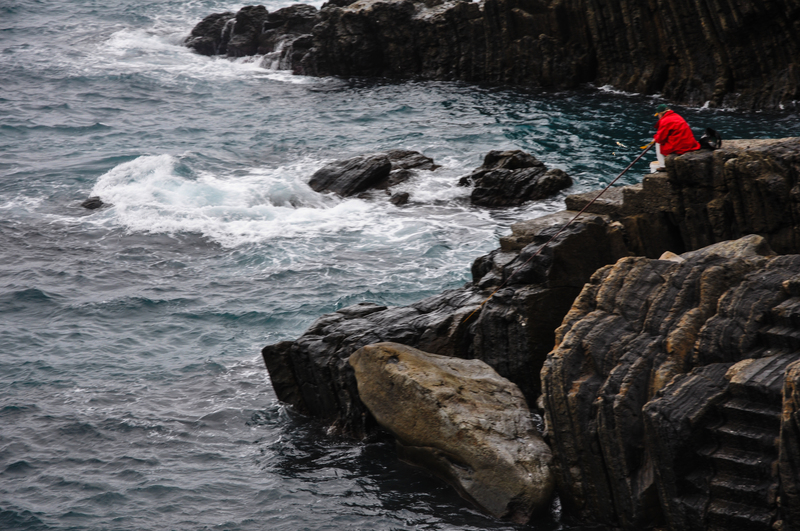 We ended up seeing the couple who’d taken our photo in Vernazza. They were photographers from Indianapolis who were celebrating their 5th wedding anniversary. We had a few drinks with them comparing travel notes. It was an awesome weekend. A big thanks to our Honeyfund contributors from our wedding. You really made our 18 month anniversary (Nov 7) very special. We appreciate it! 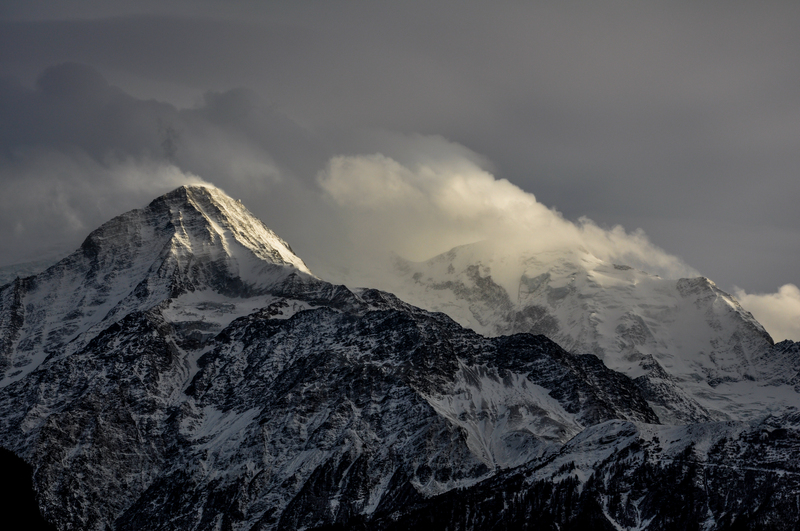 Over the river and through the Alps, to Italy we go…. 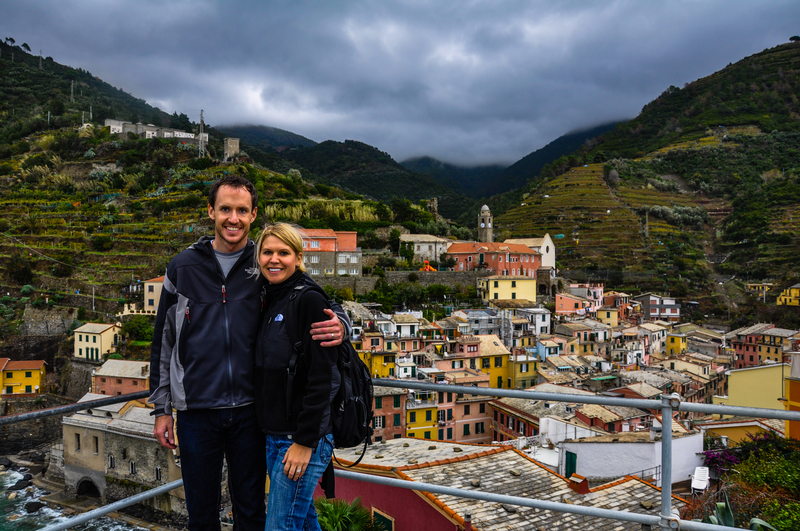 We used our last Honeyfund this weekend to go to Cinque Terre in Italy. 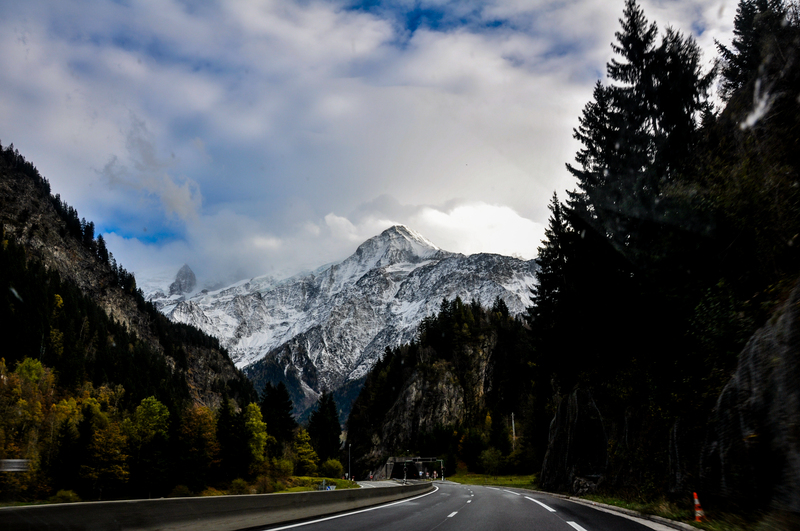 Every time we take a road trip, we are in awe of the beauty of Central Europe. I wanted to share a pictorial recap of the drive. 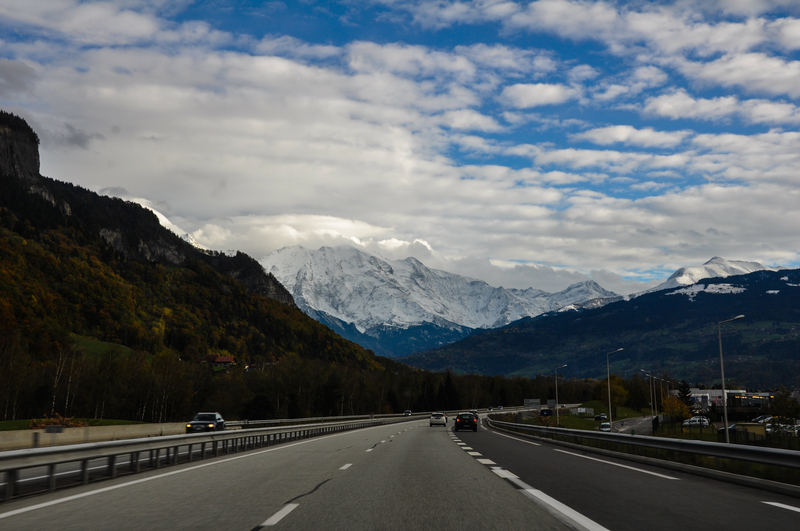 Immediately after leaving Geneva, we drove through the French Alps. 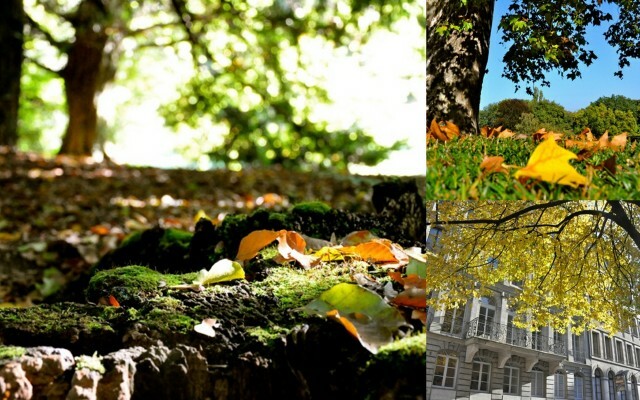 Here, there were a few signs of Fall but we don’t see it as strongly as we do in The States. We entered the Mt. 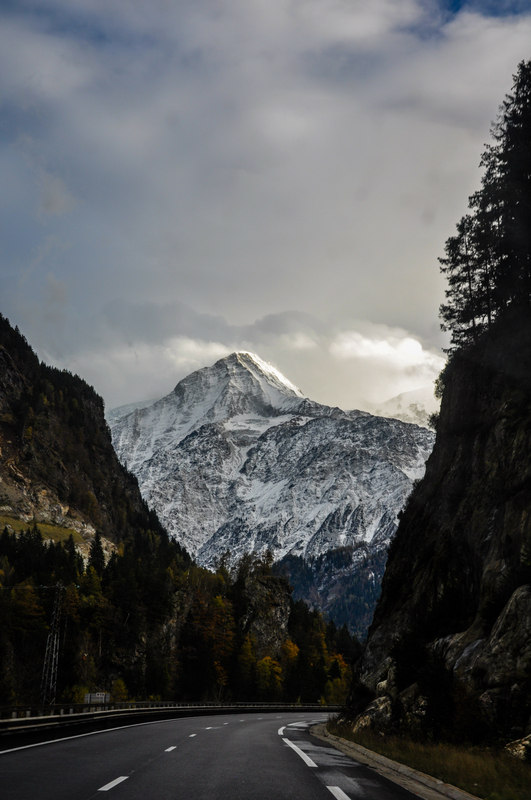 Blanc tunnel and emerged in Italy, surrounded by Italian Alps in the Aosta Valley. We drove through tunnels in 3 countries: Switzerland, France and Italy. 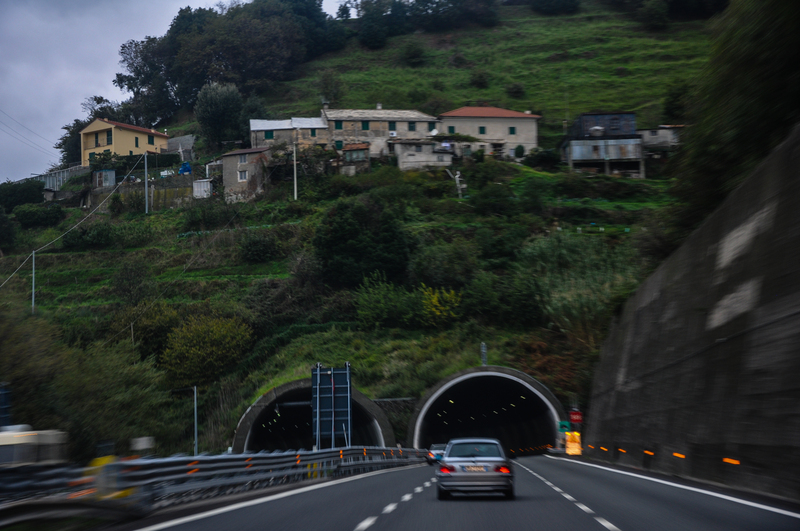 Italy had the most tunnels, as we traveled on the Ligurian coast which is covered in mountainous terrain. In total, we completed 119 tunnels during the course of the 6 hour drive. The exit our GPS instructed us to get off on was closed, so we had to take the next one. We ended up on curvy Ligurian roads in the Cinque Terre forest. 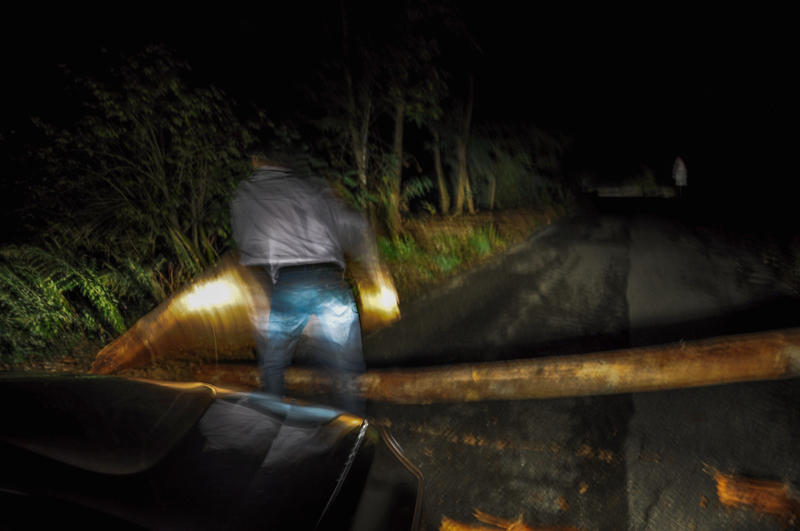 The location was so remote, we had to do a little road clean up to get there. The hubby moving a tree out of the road, in his dress shirt. While a six hour road trip can be a little tiring, we are really happy to have had such a neat journey.